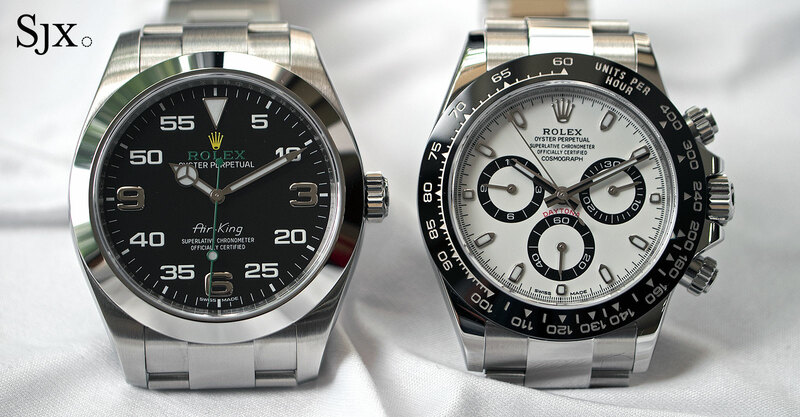 The criticism often levelled at Rolex is that many of its watches tend to look the same. That is true, both across the contemporary range as well as vertically across historical equivalents. 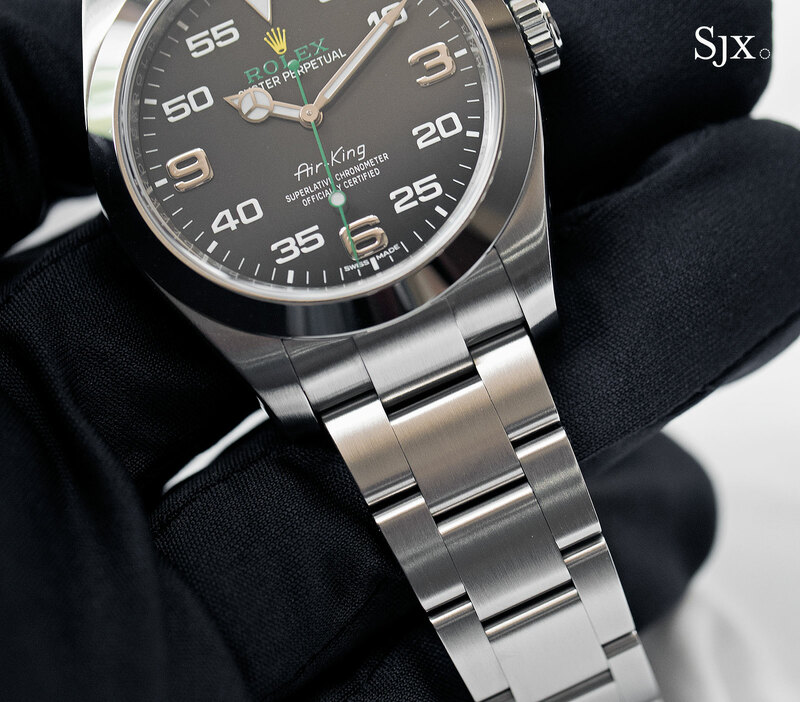 But that is also the strength of the Rolex – its patient, meticulous consistency over the decades is one reason why it’s the largest luxury watch brand in the world. 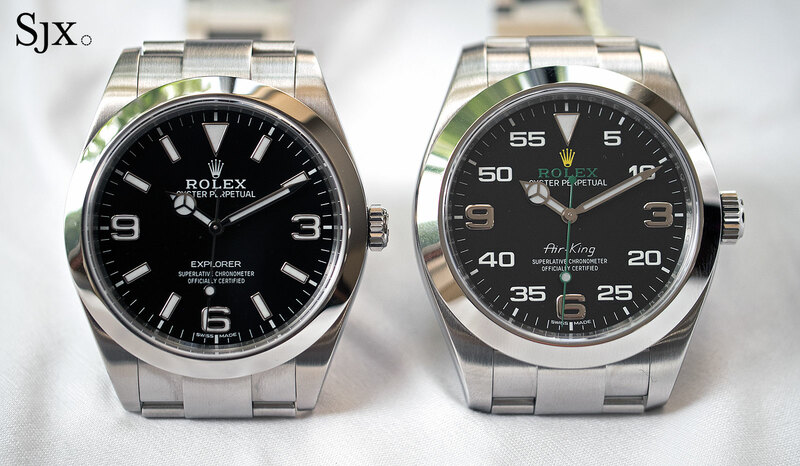 So when Rolex comes up with something drastically different, especially when it’s part of the brand’s hallowed line of Oyster Professional watches, with siblings like the Submariner, GMT-Master and Sea-Dweller, it’s worth taking notice. Even more so when the new addition is something as unorthodox as the new Air-King. At first sight the Air-King is decidedly strange looking. The green and yellow Rolex logo is a first; seeming tacky initially but then it grows on you. 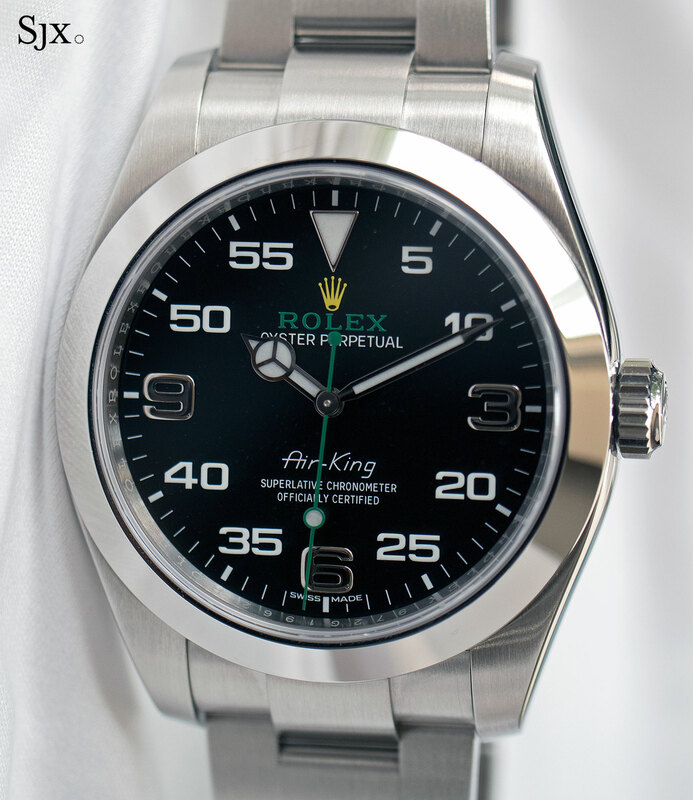 While the Air-King has oversized Arabic numerals at the quarters plus a triangle at 12 o’clock, just like the Oyster Perpetual Explorer, the rest of the dial features numeric five-minute markers, another first. These five-minute markers are printed in a bright white; the markers at the quarters are applied white gold. 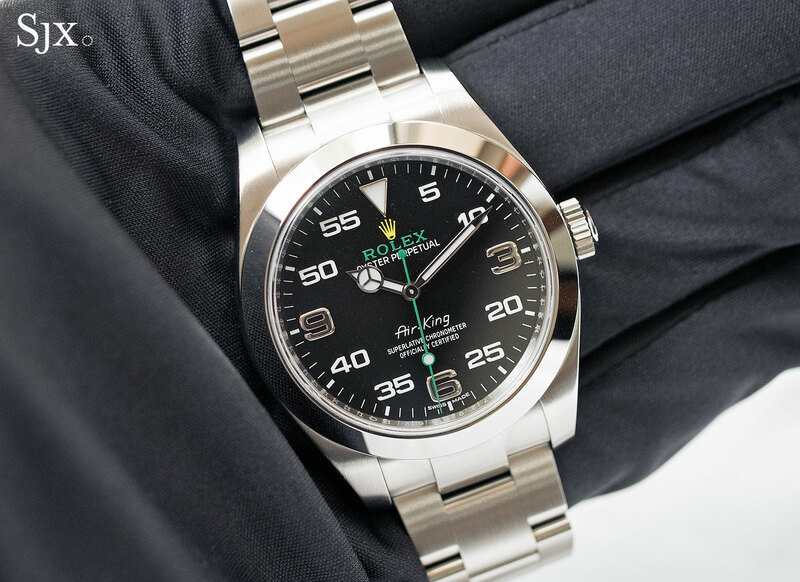 The dial is reminiscent of a speedometer; Rolex did in fact make similar looking dashboard instruments for the experimental rocket car Bloodhound SSC. Despite it unconventional styling, the dial is functional. Legibility is excellent, with the coloured seconds hand making sense after the realisation that it goes with the five-minute markers to measure short periods of time. And it looks different. 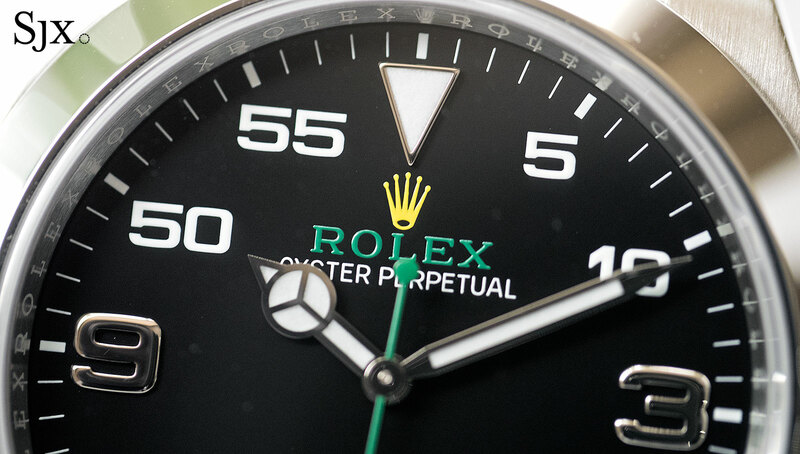 While being different has no value in itself, relative to the rest of the Rolex collection this is a standout. In the hand the Air-King does not feel like a budget alternative at all. At 40 mm in diameter it’s a largish watch, bigger than both the Explorer and Cosmography Daytona, and even comparable to a Submariner. 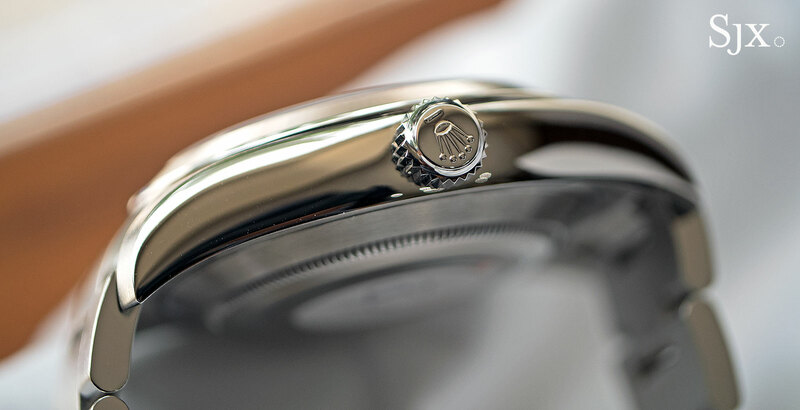 The case is typical Rolex Oyster, solidly built and affixed to the wonderfully sturdy Oyster bracelet. 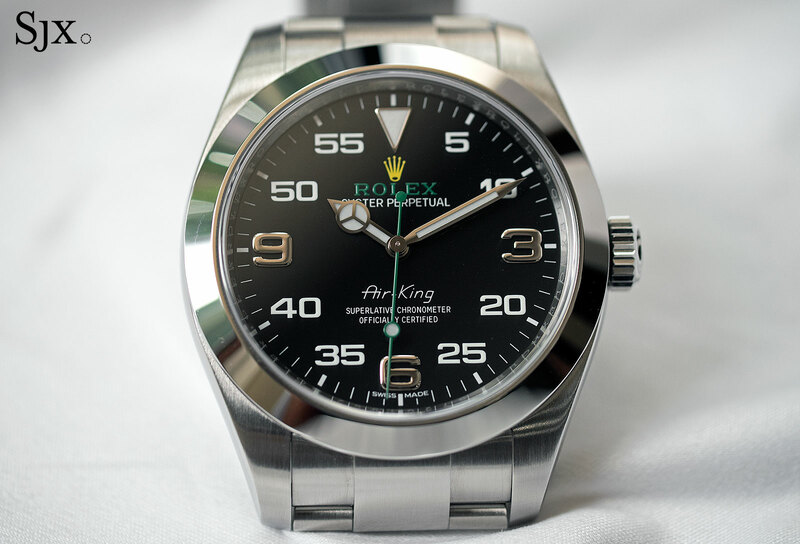 In fact, the Air-King is not just typical, it is actually another Rolex in disguise. 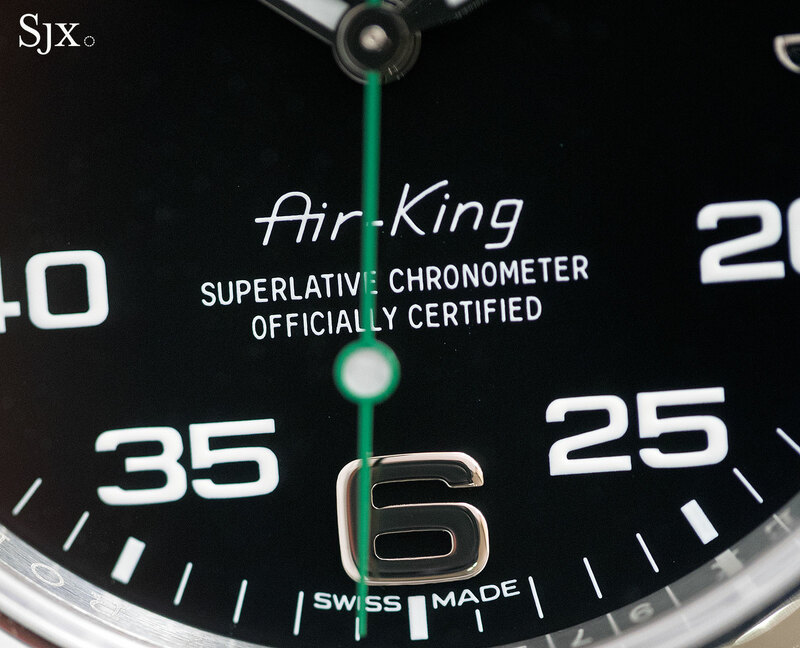 Looks aside, the Air-King is identical to the Milgauss, the magnetism-resistant engineer’s watch. 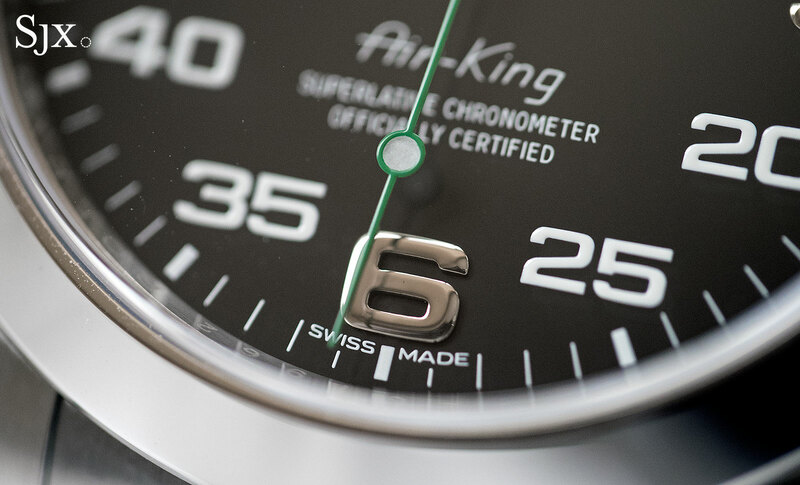 The 40 mm steel case of the Air-King contains a soft iron inner cage, protecting the movement from magnetism – exactly the same as the Milgauss. And even the movement inside is the same calibre 3131, a self-winding calibre with a blue Parachrom hairspring. The only discernible difference aside from the dial is the bracelet and clasp. 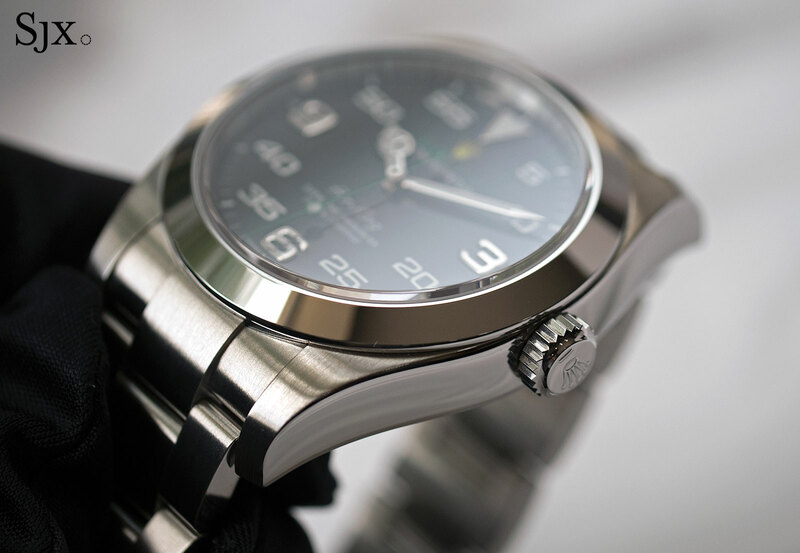 While the Milgauss has polished centre links, the Oyster bracelet on the Air-King is entirely brushed. 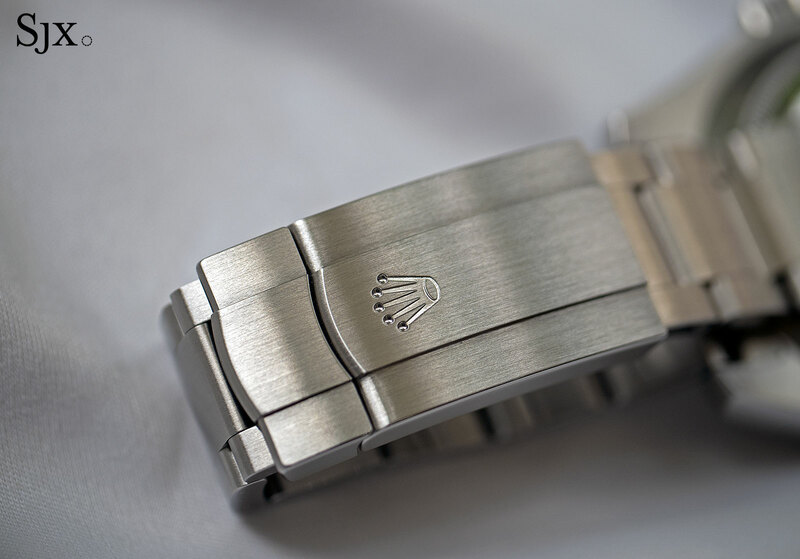 And though both share the same spring-loaded Oysterclasp, the Rolex crown on the Air-King is stamped, instead of the cast, relief logo on the Milgauss bracelet. 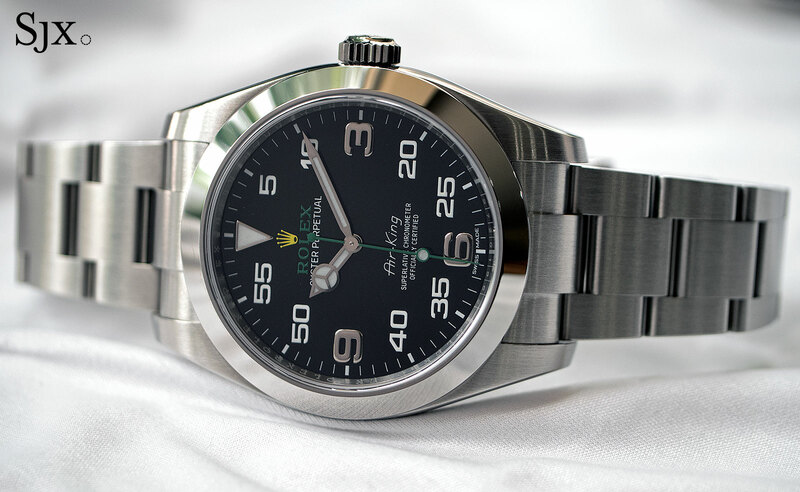 The Air-King costs some 20 percent less than the basic Milgauss, making it a fairly sweet deal. And it’s only about 10 percent more expensive than the Oyster Perpetual 39, the most basic men’s Rolex Oyster. It’s hard to argue with that. The Air-King ref. 116900 retails for US$6200, SFr5900 or S$ . 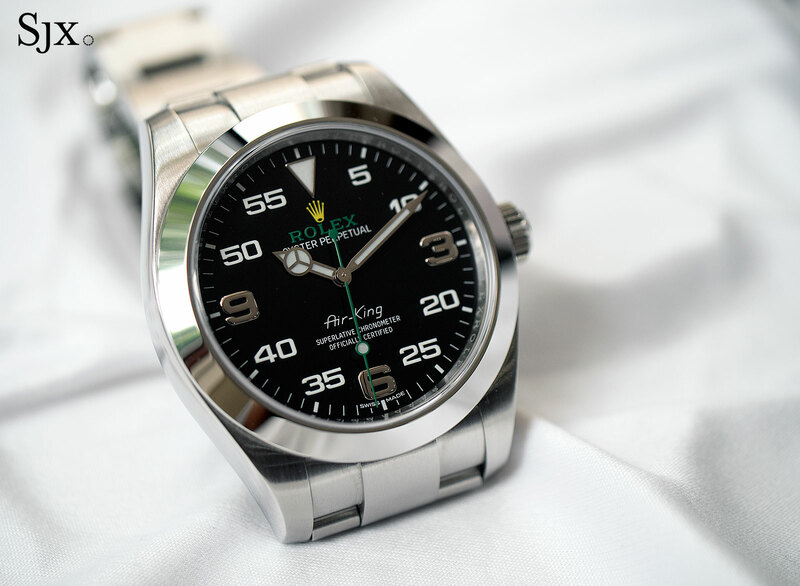 The entry-level Rolex sports watch is back, with a surprisingly unorthodox look. Read on for details and official pricing.